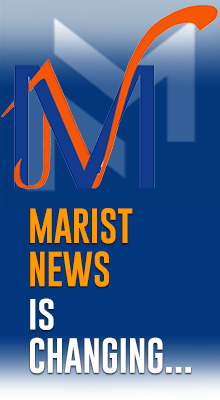 At the start of this year, the Sacred Heart Senior and the Sacred Heart Middle Schools combined to make one school on two campuses (prior to this they had been separate schools each with its own principal). Mr Steve Byrne is the Principal of the new set up, Mr Daniel Lynch, Head of the Senior School Campus, and Mr Tim Mullins, Head of the Middle School Campus. 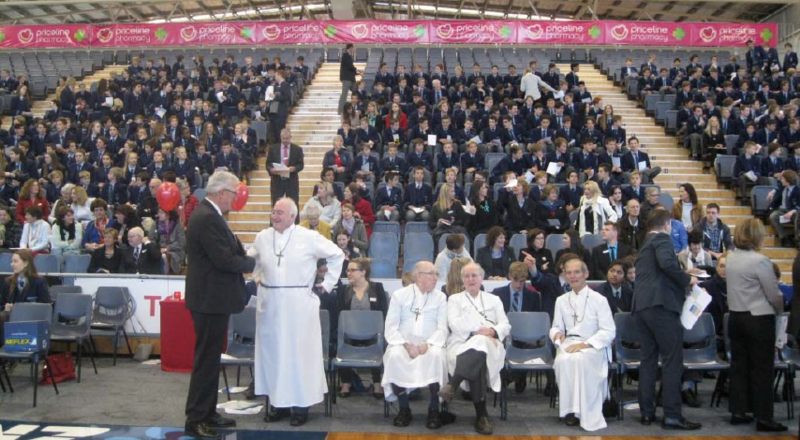 On 12 June, the Feast of the Sacred Heart (and the previous week, the Feast of Saint Marcellin Champagnat), provided the occasion for the first whole school Mass (over 1700 students) at the Netball SA Stadium. The main celebrant was Bishop Eugene Hurley, former Bishop of Port Pirie, now Bishop of the Darwin Diocese, and also an ex‐student of the College. Concelebrating were Father John Shanahan, Chaplain for the Middle School and Monsignor Ian Dempsey, Chaplain for the Senior School.